I like to think I am all over maintenance and that's why I tend to run well most summers, but today proved sometimes being lucky helps too. I change my cool fuel filter every year but since I have had the boat I never changed the secondary filter at the bottom of the cool fuel module until today. 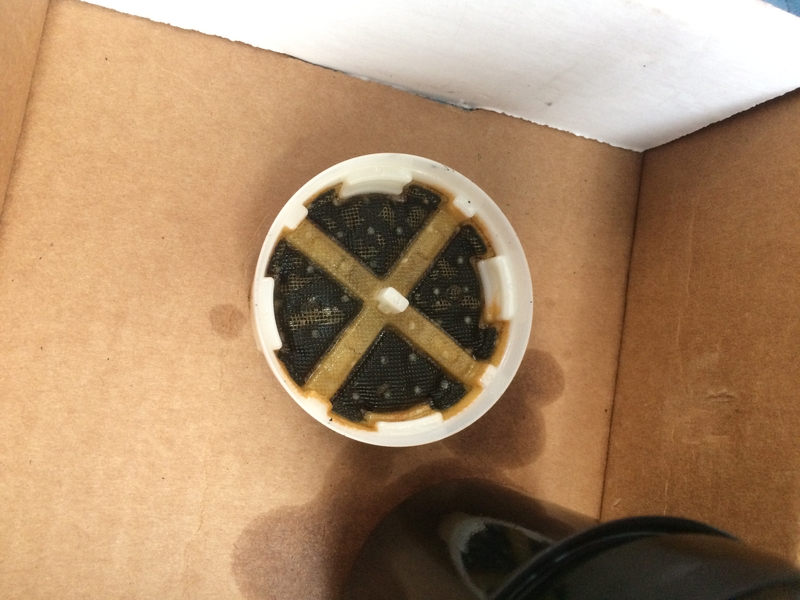 Below is s picture of what the filter looks like. I'm not sure it's ever been changed. I think I have lucked out that this black mess hasn't dislodged and clogged something. I'm sure it helps the fuel lines are high on the cool fuel module too. If you don't change these or know about them you may want to investigate and change. The pn is 35-892665. Wow!!! You are lucky. When I changed mine 2 years ago, it didn't look anything like that. It was rather clean. I will guess that is the Cool Fuel II filter? 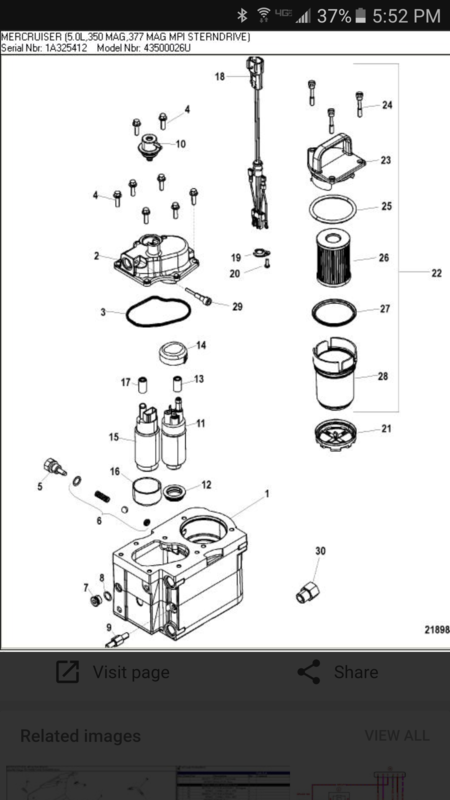 Unless I am mistaken, which could happen!, I do not think I have a filter in the fuel cooler on my 2003 350MAG MPI? My 06 350s have the same configuration and I had the same looking pre filters last spring when i bought the boat. Scary. I assume I can get 2 summers out of the new. Yep it's the cool fuel 2 going to my 496s. The upside is no paint peeling as DI has experienced. where you will see the paint is at the regulator, which is further downstream in the pump. The paint can come out after the filters, so you may never see it in the filters. No more paint for me going forward! Merc finally changed their design. BD, you correct, you wouldn't have them. Im unaware of these filters I have a 350 mag mpi horizon. my boat is a 2004 but think the engine was mfg in 2003. I did see a large black plastic cover below the exhaust manifold on the port side where fuel lines enter. could you describe where to access the filters? 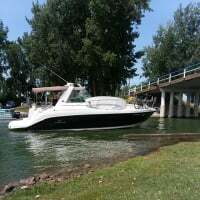 @reneechris14 where are you keeping the boat this year? Will we see you out at Napatree this season? Yes you will, Stonington on the river,2.9 miles form Napa tree.boy got a lot to do to get there.got both my drives back last week all rebuilt,this week end will do bellows,gimbal,shift cables,and that oil line.after the defender sale,bottom paint,and grill. Nice. We will have to have a cold one at some point. We plan to be at Napatree Easter weekend under anchor. My list is getting shorter but still have a lot to do as well. Painting the drives and bottom is next weekend's project.